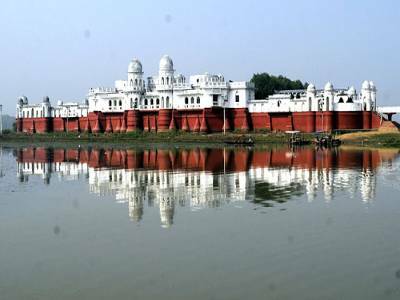 The Neermahal summer palace of Tripura is one of the most beautiful and famous palaces of India. It is one of the only two lake palaces in India, other being the Jal Mahal in Rajasthan. 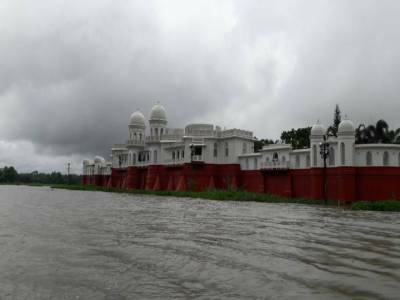 However, it is the largest water palace in whole India. 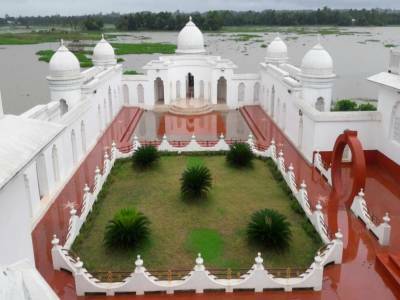 It is located about 53 KM away from the capital city of Tripura, Agartala, in the town of Melaghar. Neermahal stands in the waters of the great Rudrasagar Lake. 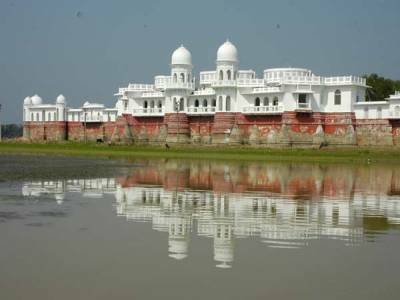 The palace was built under the order of the then king of Tripura, Bir Bikram Kishore Manikya Bahadur, descendent of the long royal lines of Manikya Dynasty of Tripura. It was in the year 1921, that the king proposed to build a palace on the Riudrasagar Lake, during one of his visits to the lake, and commissioned it right away to Martin & Burns British Construction Company. The work of the summer palace stared in the year 1930 and took 8 long years for its completion. The palace is an ethereal gem of a creation, built with architectural styles taken from both Hindu and Muslim traditions. The exquisite designs of the palace and the watery ambience mesmerized anyone and everyone visiting the Neermahal Palace. The palace has two main sections, the inner sanctum palace or Andar Mahal where the royals reside and the outer sanctum where gardens, courtyard, fountains and the eastern open-air theatre were built. The step of the palace into the lake is called Rajghat, where the king used to bate & swim. Touring the palace is a great way to know the history and culture of the Tripura. 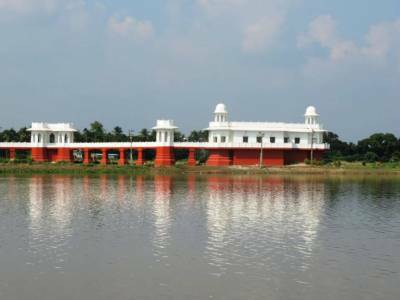 The palace is greatly decorated during festive occasions and is well connected being close to Agartala. I love the location surrounded with water n the its beautiful view. The palace assimilates the Hindu and Islamic architectural styles. Get quick answers from travelers who visit to Neermahal Palace.